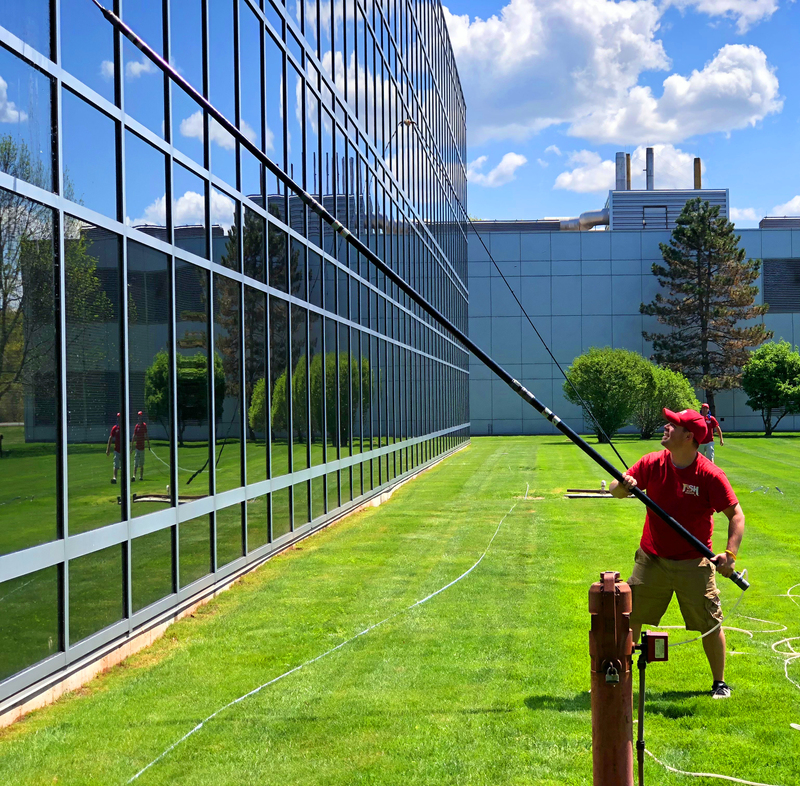 Welcome to Fish Window Cleaning, your local residential and commercial window cleaning professionals serving Enfield, Manchester, South Windsor, Vernon Rockville, Windsor, Windsor Locks, East Windsor, Suffield, Broad Brook, and Ellington. Do you live in Massachusetts? Visit our MA site here. We also serve the Greater Springfield Area. 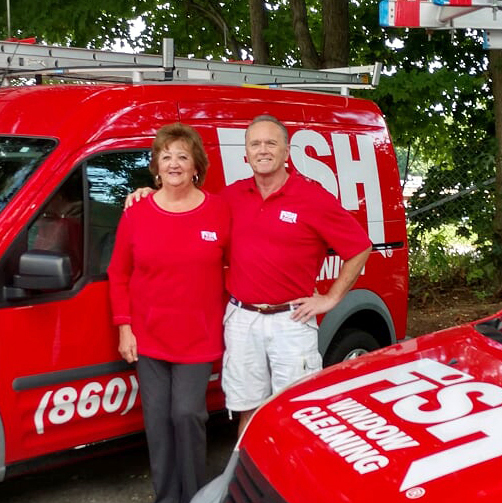 You can rely on Fish Window Cleaning to take the utmost care of your residence in North Central CT as we clean your windows. We wear fresh shoe covers as we enter your home and use cloth pads under each window as we clean it to protect your carpet and wood floors. We even introduce our team to you before we start cleaning so you know exactly who will be giving your windows a spectacular shine. We provide cleaning of all types of windows, even the hard to reach ones of your home. We also offer hard water stain removal, chandelier cleaning and gutter cleaning. Our services include: Window Cleaning, Window Washing, Gutter Cleaning, Pressure Washing, Construction Clean Up, Awning Cleaning, Chandelier Cleaning, Skylight Cleaning, and Hard Water Stain Removal for the North Central, CT, area.